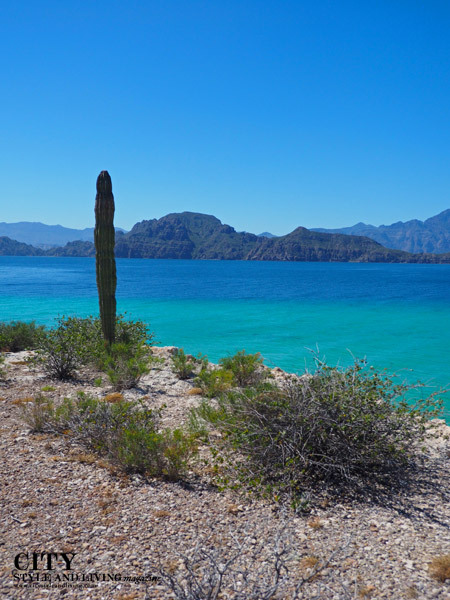 A bay accessed by hike from Villa del Palmar Loreto. /K&S Media. 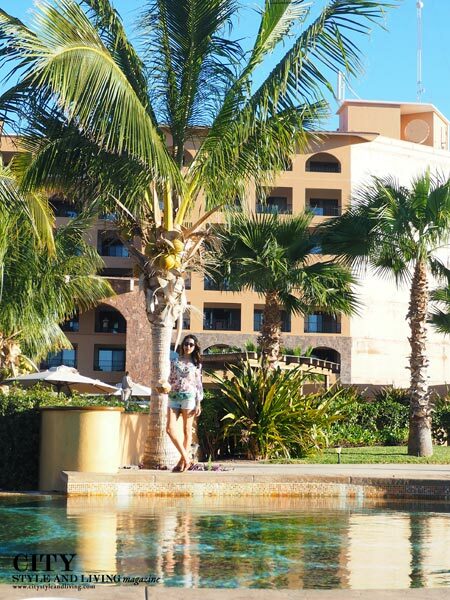 Poolside at Villa del Palmar Loreto. /K&S Media. 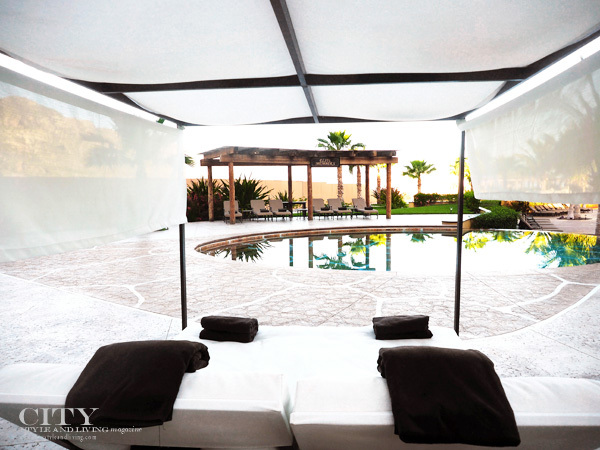 Villa del Palmar Loreto Cabana. /K&S Media. 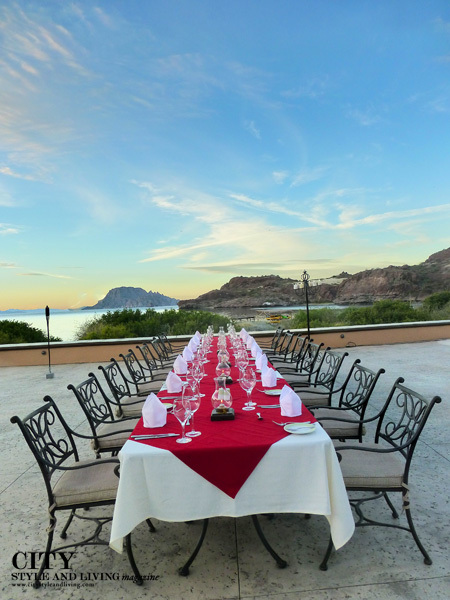 Chill Out and Enjoy The View The welcome ceremony at Villa del Palmar at the Islands of Loreto is a hand cleansing ceremony to alleviate stress, preparing me for a truly relaxing stay. 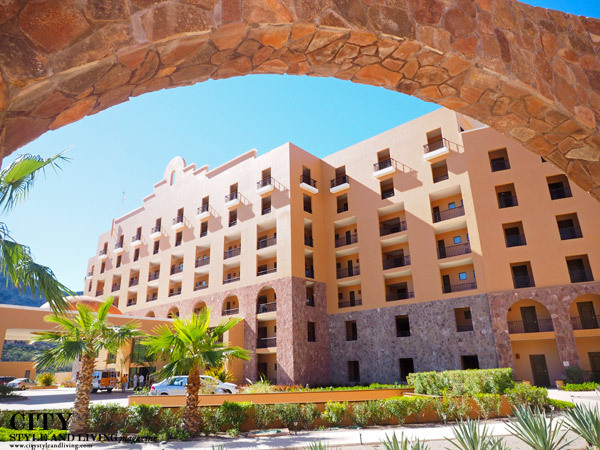 The Mexican resort is set amidst 4,447 acres that include a soon-to-be-opened Rees Jones designed golf course, tennis courts, and hiking trails with views of Danzante Bay and the Sea of Cortez. 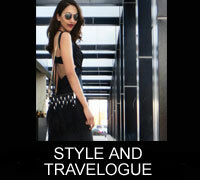 The panoramic view includes sea, desert and mountains. My spacious one-bedroom suite includes a kitchenette, living room, and king size bed, where early mornings are spent on the balcony, sipping coffee and admiring the hotels tortoise shell embossed pools. The coolest feature? A seaside glamping tent complete with modern amenities so you can quietly enjoy the million star view of the sky. 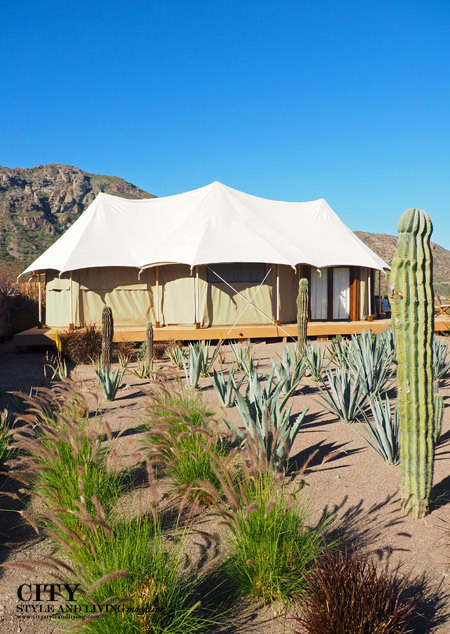 Glamping at Villa del Palmar Loreto Mexico. /K&S Media. 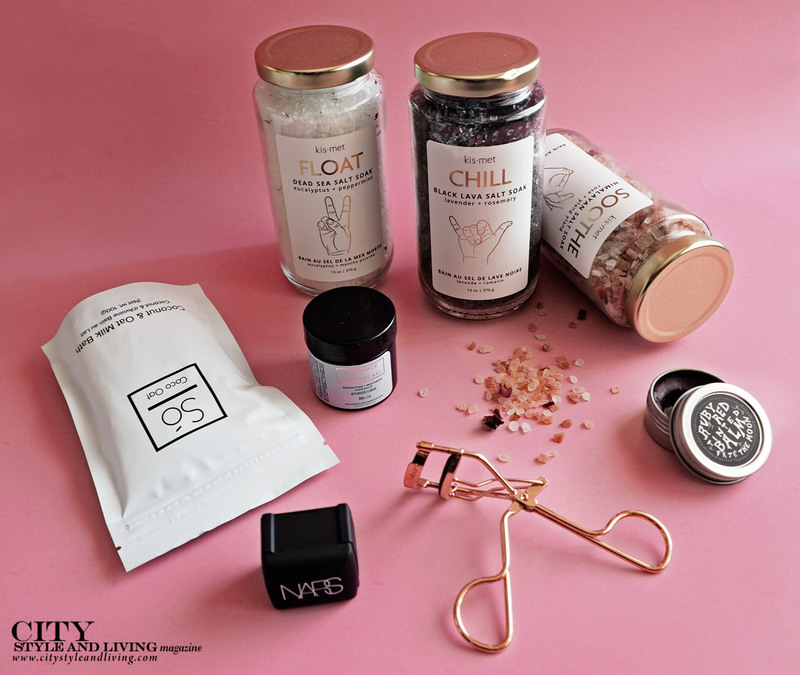 Indulge in A Spa Treatment Sabila spa is a 39,000-square-foot oasis. I indulge in a twenty five minute teaser massage that submerges me into a deeper state of relaxation. 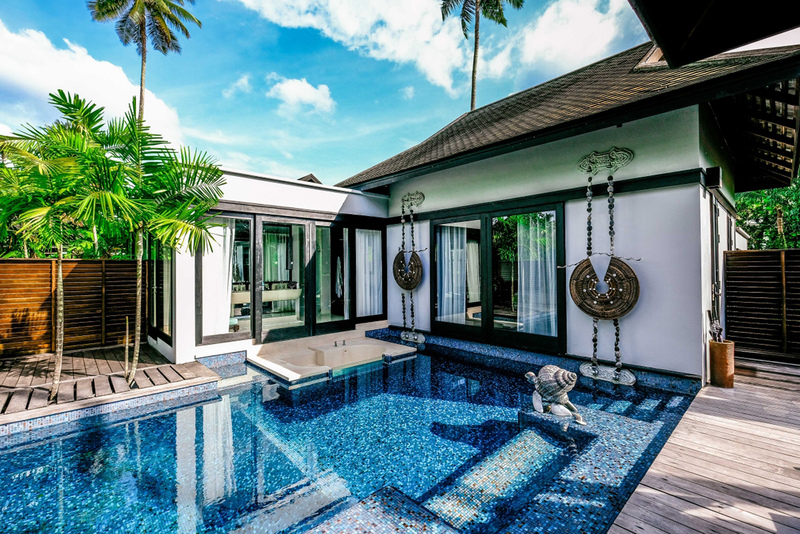 Sabila Spa also features aromatherapy, reflexology and hydrotherapy treatments as well as sauna, relaxing spa tubs, and cold water plunge wet areas. Go For A Wine And Cheese Sunset Cruise I set sail late one afternoon against a backdrop of brilliant pink ombré sky, sipping crisp sauvignon blanc and munching cheese as I watch humpback whales spouting in the distant ocean. The sun melts away behind the Sierra de la Giganta as the journey ends. Villa Palmar Loreto as seen from a Hike. /K&S Media. Hike The Sierra De La Giganta With my enthusiastic and knowledgeable guide Carlos Velasco, who spouts handy survival advice and points out various plant and animal species, our brisk morning hike reveals spectacular views. 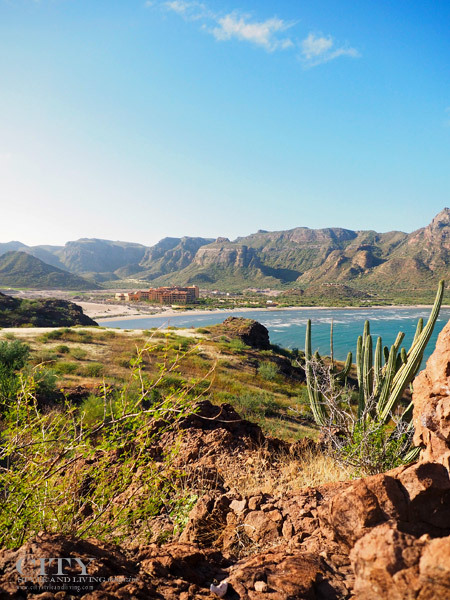 Carmen Island Loreto Mexico. /K&S Media. 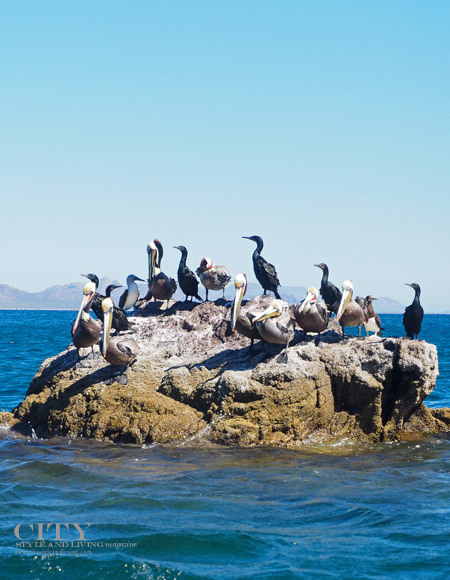 Birds including the blue Footed Booby at sea in Loreto Mexico. /K&S Media. Coronado Island, Del Carmen Island And Danzante Island I hop onboard with Daniel who points out grey, blue and humpback whales. The wildlife does not stop there we spot blue footed boobies, a colony of barking sea lions and giant manta rays jumping out of the water. 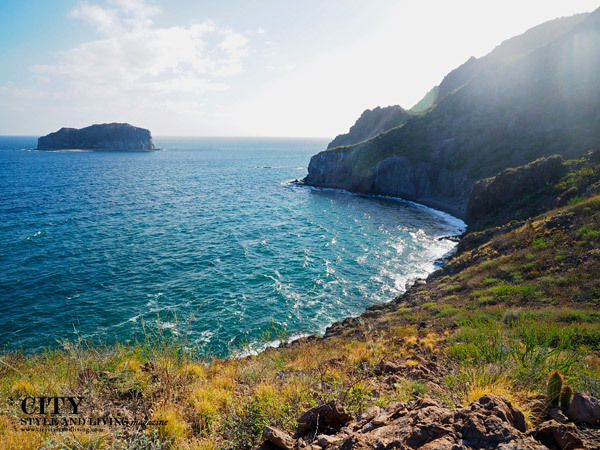 Another day, Frank takes me to Danzante island, describing what is found in the Loreto Bay National Marine park including the varying rock formations – nature’s modernist sculptures. 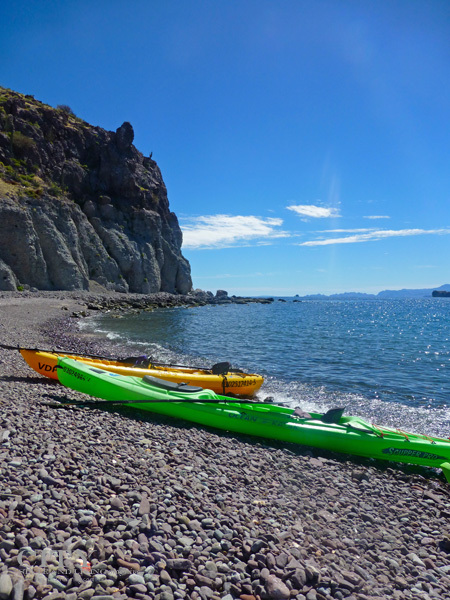 Villa del Palmar Loreto Kayaking. /K&S Media. Paddle A Glass Bottom Ocean Kayak One morning, I take a glass bottom kayak from Villa Del Palmar Loreto to an offshore island. Paddling with gusto in the water, I reach the island in less time than I’d imagined, welcomed by a beach laden with starfish, bright red rock crab and seashells. Casa Mia After a dip in the ocean, I chat with Luis at the bar of Casa Mia while I nibble the addictive local Loreto chocolate clams, baked with Monterrey cheese, chipotle, garlic and butter before ordering a crisp wood fired seafood pizza, and fish tacos with creamy guacamole and pico de gallo. Sunset Dinner at Villa Del Palmar Loreto Mexico. /K&S Media. Dinner at Danzante Villa Palmar Loreto. /K&S Media. Danzante Restaurant For dinner, I am welcomed by two trees entwined with twinkling white lights dazzling in the night sky on the terrace overlooking Danzante Bay. 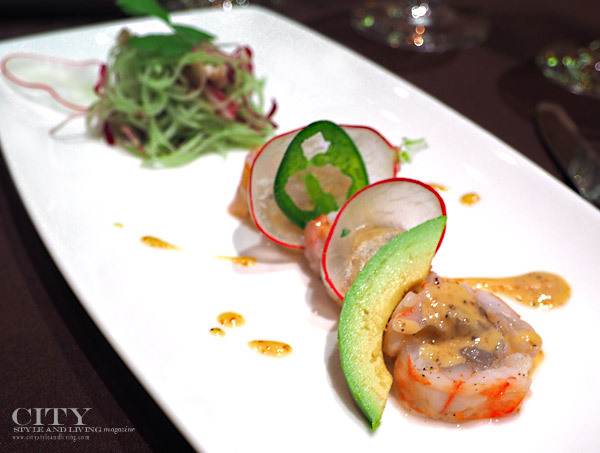 Executive Chef Alfonso Peregrina has prepared a scintillating taste of Mexico for dinner that begins with poached shrimp and jalapeno, followed by a luscious and silky poblano cream soup with hints of mint, and then a perfectly seared fish fillet served over delicate risotto. 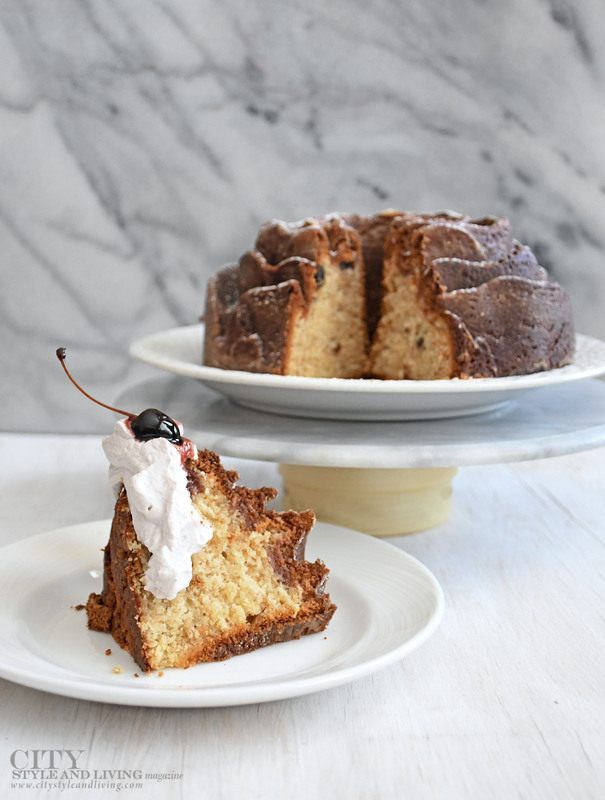 He finishes with cherries jubilee prepared tableside. 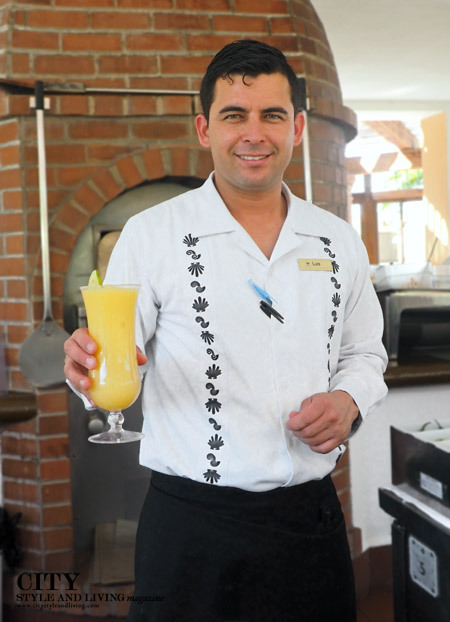 Mixologist David Ortiz at Villa del Palmar Loreto Mexico. /K&S Media. 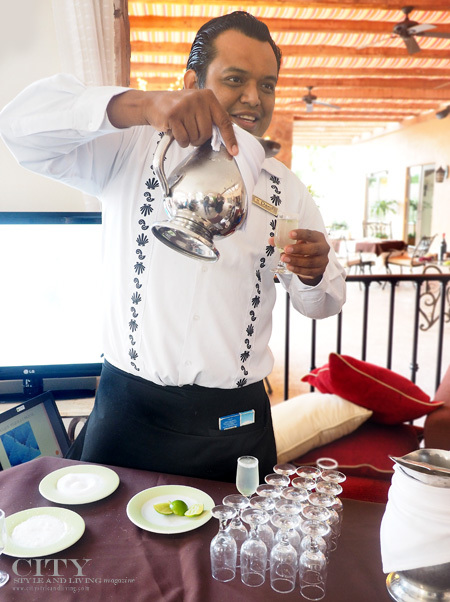 Don’t Miss Mixologist David Ortiz creates deliciously smooth cocktails during my stay here (the tamarind margarita and cucumber and chili margarita become my faves), while sommelier (and tequila expert) Cesar Sanchez treats me to an impromptu tequila tasting where I learn the ropes of Mexico’s signature drink. 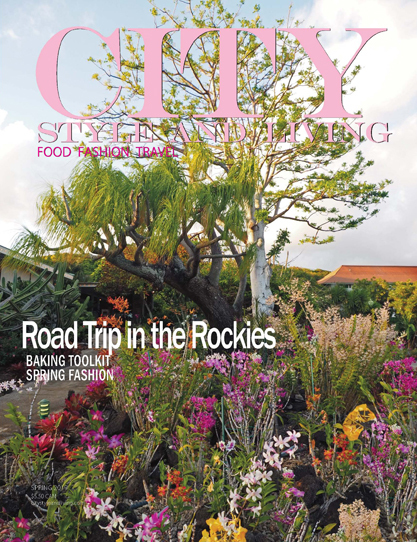 This original article was first published in the Summer 2015 issue of City Style and Living Magazine.